As of noon today George W. Bush is just a regular citizen of the United States. Almost all of the 20,000 free tickets to tomorrow's welcome home celebration for President George W. Bush in Midland have been handed out. Bush and his wife, Laura, will head to this West Texas city tomorrow afternoon after the inauguration of Barack Obama in Washington, D.C. The welcome home event is set for Centennial Plaza, the town square. Eight years ago, in January 2001, Midland was the setting for the send-off event as then-President-elect Bush headed for the White House. As of this afternoon, 1,500 free tickets remained for the event which will include entertainment by Larry Gatlin and the Gatlin Brothers, Rodney Atkins and Lee Greenwood. 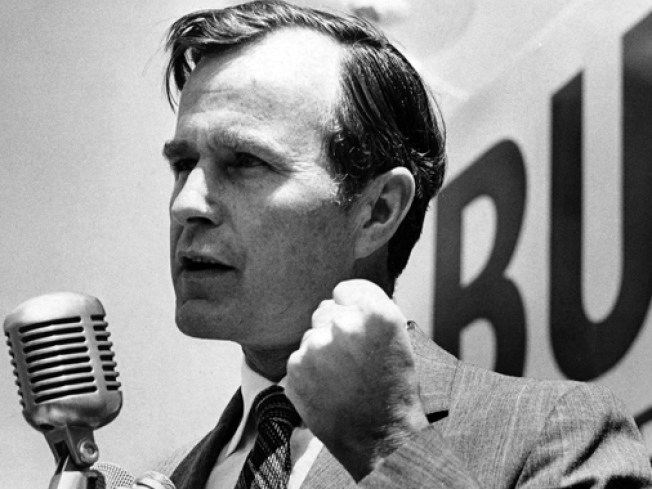 The Odessa American reports former President George H.W. Bush and former first lady Barbara Bush are expected to be traveling with George W. Bush, but Jean Becker, a spokesman for the elder Bush, said he didn't expect to participate in the rally. Gov. Rick Perry, state Rep. Tom Craddick and Midland Mayor Wes Perry were among those scheduled to speak during the afternoon event.